Here are our grades for every Terps player in the home opener against Maryland – Eastern Shore. College Park – The Maryland Terrapins picked up a 96-43 victory over Maryland – Eastern Shore in their home opener at the Xfinity Center Sunday night. The Terps are 2-0 after the win as it was another outing in which most of the roster played. After each and every game, we will give our grades for each player who participated for the Terps and head coach Mark Turgeon. Note: The walk-ons that finished the game were not included in this grading as they played four minutes of mop-up duty. The sophomore guard had his way against the Hawks, especially in the first half. He showed a willingness to get after the glass as evident by his eight rebounds in the first 2o minutes. He also dazzled the crowd with a coast-to-coast finish on one possession, a sweet reverse layup a few later and capped it off with a steal for an easy layup on the final basket of the first half. Mark Turgeon had one complaint after the game: he failed to record an assist as the starting point guard. That will change as the season progresses. 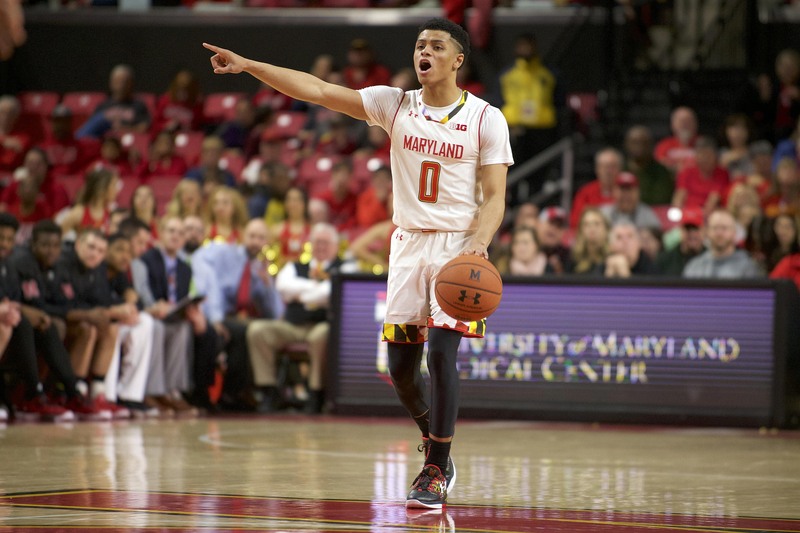 Taking over as the lead point guard for Melo Trimble, the Bowie native looks more than ready to run the Terps offense this season. At no point on the night did it ever seem Huerter got really engaged on offense, and yet, he still finished with 10 points and two assists. When the level of competition gets better, he’ll have to do more, but on this night, he took a backseat to the rest of the guards. With Trimble making the decision to go pro, the Terps were left without a player who would attack the basket regularly. Morsell showed the willingness to do so on several occassions, including a spin move and layup that drew some cheers from the crowd. His aggressiveness got him to the line most of any Terrapin, making 6-of-7 those attempts, while chipping in with five rebounds and three assists. The freshman forward made his first start for Maryland and while he did not stuff the stat sheet, he made a difference on the defensive side of the court. He contested shots all evening, including two blocked shots on one sequence that led to a fast break. He added six points, but also picked up two fouls in limited minutes. Jackson never really got it going offensively, but made up for it with a solid all-around game. He finished with just eight points on 3-of-8 shooting, but also chipped in six rebounds, four assists, a block and a steal. This is more likely a case of him taking a back seat to his teammates against an inferior opponent. Expect more from him as the season progresses. Ceko got the start, promptly missed two free throws to start the game and finished 2-of-6 from the line. He never was a factor in the game as he recorded just one field goal and rebound in 11 minutes of action. Maryland needs one of their elder big men to step up, and it wasn’t the player who started tonight. The graduate transfer did not play much, but made his presence felt in a hurry. He picked up three rebounds in his first two minutes of action, including an offensive rebound and put back on two different possessions. He finished with six rebounds, five of which came on the offensive glass, in only eight minutes. He looks the part to be a banger on the boards for Turgeon. Maryland started the game with a bigger lineup, but things really got going offensively once Wiley was inserted into the game. He finished with 13 points, including 3-of-6 from beyond the arc, and did handle the ball for parts of the second half. 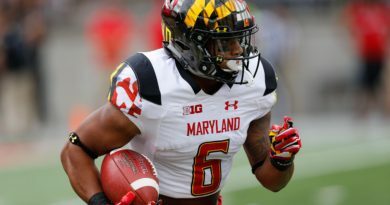 Wiley’s performance this season could go a long way in determining how well the Terps fare in the Big Ten Conference this season. Many questioned what his role would be with this squad with all the new addition of Morsell and Wiley expected to get big minutes. On this night, he did not miss as he finished 5-of-5, including four makes from beyond the arc. If he can continue to spread the floor in his limited minutes, he could be a real weapon for the Terps from long range. Bender had a relatively quiet evening with two rebounds and three assists in his 12 minutes. Bender’s passing ability was on full display as Maryland ran a couple sets through him that resulted in wide open looks. What can you really say about the coach when his team is playing competition nowhere near the level as his kids? UMES was missing almost their entire starting lineup due to injury. He did question his decision to start Fernando after the game, but overall, they cannot complain about the suffocating effort on the defense as they held the Hawks to 33.9 percent shooting. The main thing here is no players got hurt and no one’s confidence should be shook as most who saw action contributed in a positive fashion. He has a much tougher task in the next outing when they take on Butler Wednesday night.